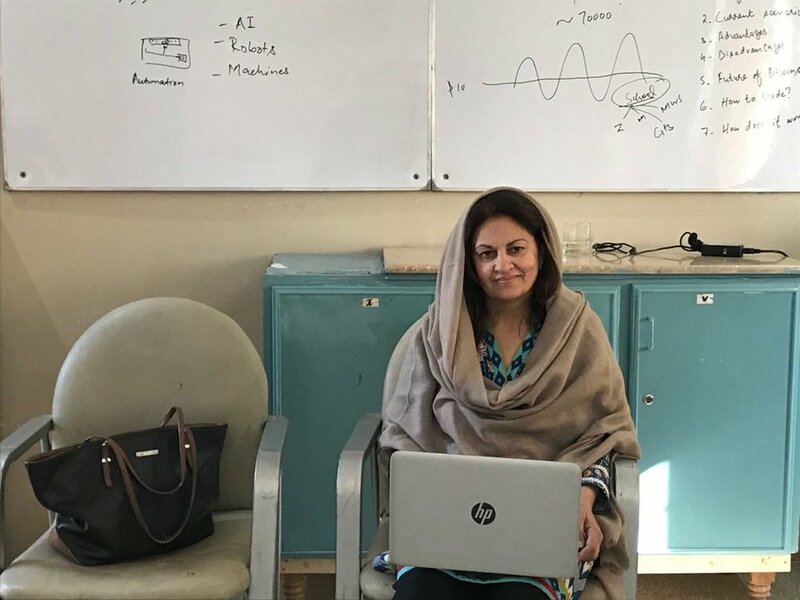 We started our journey with a mission; a mission to change the educational system in Pakistan and inculcate technology in the learning experience our kids would be exposed to. Our ideas didn’t fit in with the standard, accepted beliefs individuals had regarding the education experience but we stuck to our beliefs and continued on our journey of revolutionizing the education system. Along the way we’ve met people who’ve shared our ideologies and have offered us support in one form or the other. Salahuddin Khawaja; the founder of Khud was able to garner support from Mr.Omer Khawaja & Mr.Naseem Khawaja , who alongside their group of friends made it possible for us to establish a unique state-of-the-art laboratory in Zahoor School situated in a little village on Multan road in Lahore. The students at Zahoor School were excited to embark on this journey but their school lacked the basic infrastructure to support such lessons so we turned to the public to support us in our cause and these individuals stepped up to help turn this dream into a reality. This would not have been possible without our dedicated team, the donors and the principal of Zahoor school, Ms.Yasmeen Shahid whose continuous efforts made it possible for a mere idea to transform into reality. Our family keeps on growing but the mission is far from over, in fact we’ve only just begun!